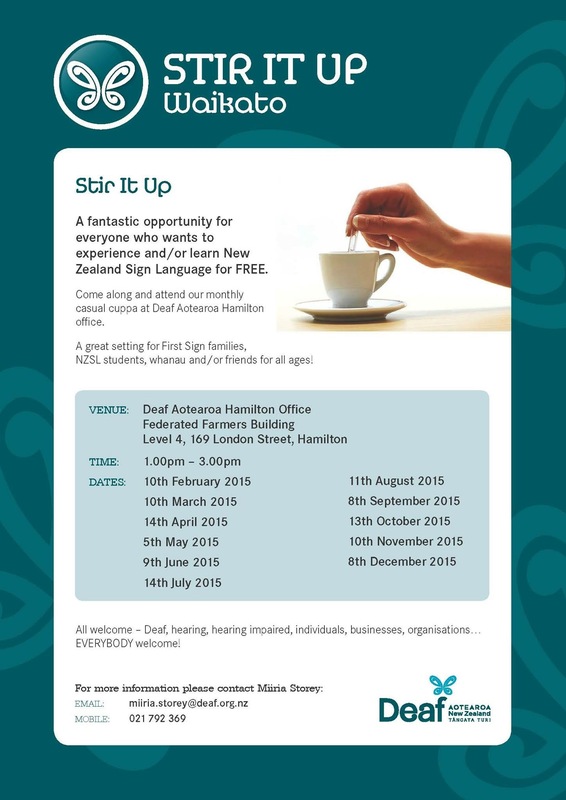 Hello <<First Name>>, here is your CommUNITY Weekly newsletter from Deaf Aotearoa's <<Your local Office>> office. 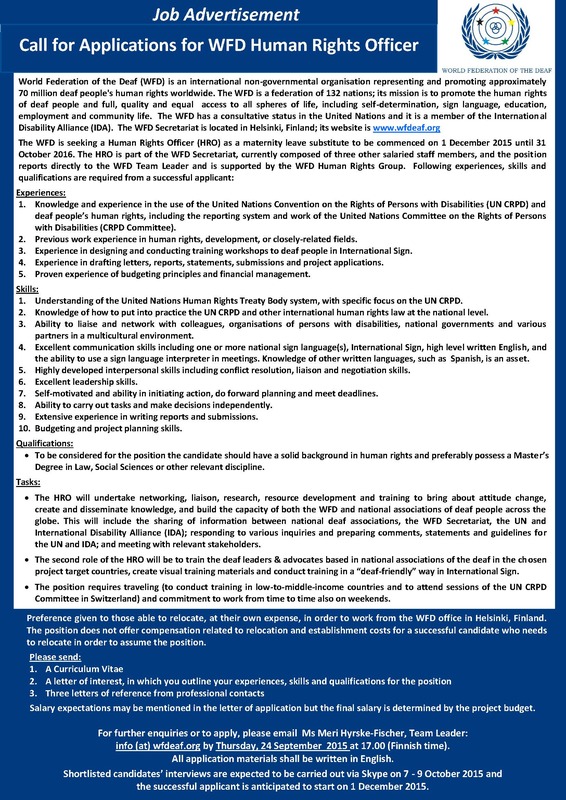 The WFD is seeking a Human Rights Officer (HRO) as a maternity leave substitute to be commenced on 1st December, 2015 until 31st October 2016. Don’t hesitate to distribute this job advertisement - also attached to this email in PDF and Word format - to your networks. For further enquiries, or to apply, please email Ms Meri Hyrske-Fischer, Team Leader: info@wfdeaf.org. Deadline for applications: Thursday 24th September at 5:00pm. A one day mini-conference focusing on the mental health needs of the Deaf Community, and the tools required to deliver equitable mental health care for this linguistic community will be held in Auckland (20th November), Wellington (24th November), and Christchurch (30th November). It will feature international expert Dr Brendan Monteiro, Consultant Psychiatrist at specialist Forensic Rehabilitation Services in the UK. Brendan has dedicated his career to developing Deaf mental health services to meet local community needs across the UK and Northern Ireland. A conference with a Deaf mental health focus is a very rare event here in New Zealand. It will have many benefits including supporting the much needed development of Deaf mental health services and in connecting all those involved with this highly specialist area of practice including service users and practitioners. Increase awareness of factors which impact upon Deaf development, mental illness and recovery, including the place of communication in attaining positive treatment outcomes. Voluntary group, The Coalition of Deaf Mental Health Professionals (CDMHP) will be your hosts for this event. CDMHP is a group of Deaf and hearing practitioners with experience in Deaf mental health service delivery, policy and practice. CDMHP formed following specialist service closures in the Central Region in 2010. CDMHP provides advice and cultural consultation to key stakeholders on the need to develop a national network of signing fluent Deaf mental health services, to support cultural capability across the health sector and beyond. CDMHP Website: www.cdmhp.org.nz (Please note that the Deaf community evening event will no longer be taking place). There will be an informal cuppa afternoon on Saturday 12th September 2:00pm at Deaf Aotearoa Office in Deveron Street. Friends of Sabine and Fred Muller will be here to meet the Deaf Community. This lady is Dr Jill Afrin who is a psychiatrist specialising in working with Deaf in South Carolina. She uses ASDL and does video conferencing with her patients and will be very interesting person to meet. Jill will be here with her husband who is also a doctor. 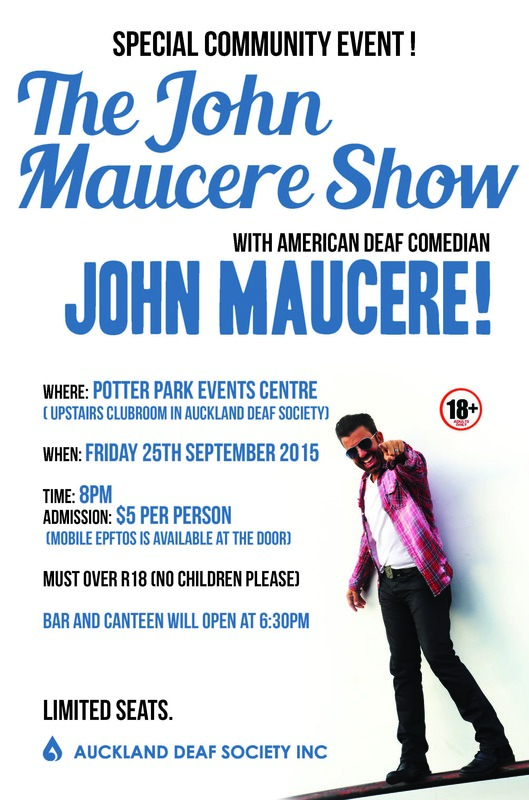 American Deaf Comedian will be in Auckland for the John Maucere Show! This show is R18, so please do not bring your children. 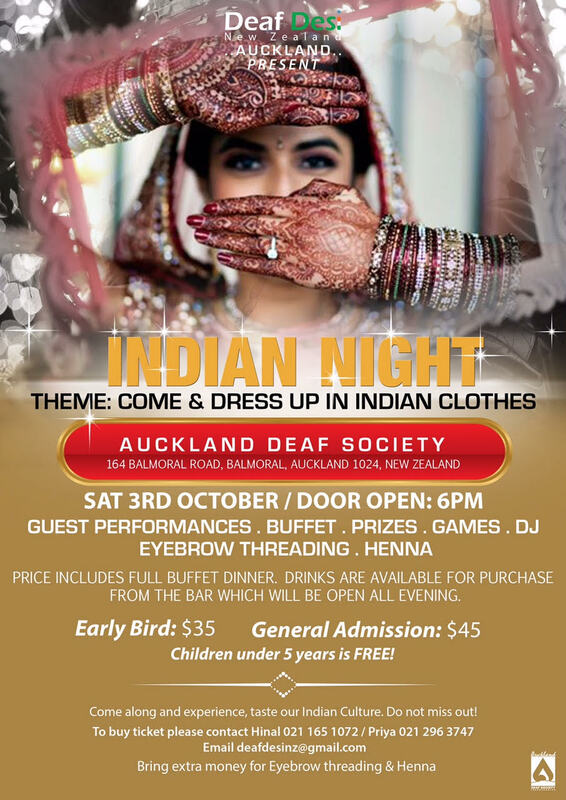 Where: Potters Park Events Centre, upstairs clubroom in Auckland Deaf Society. Bar and canteen will be open at 6.30pm. 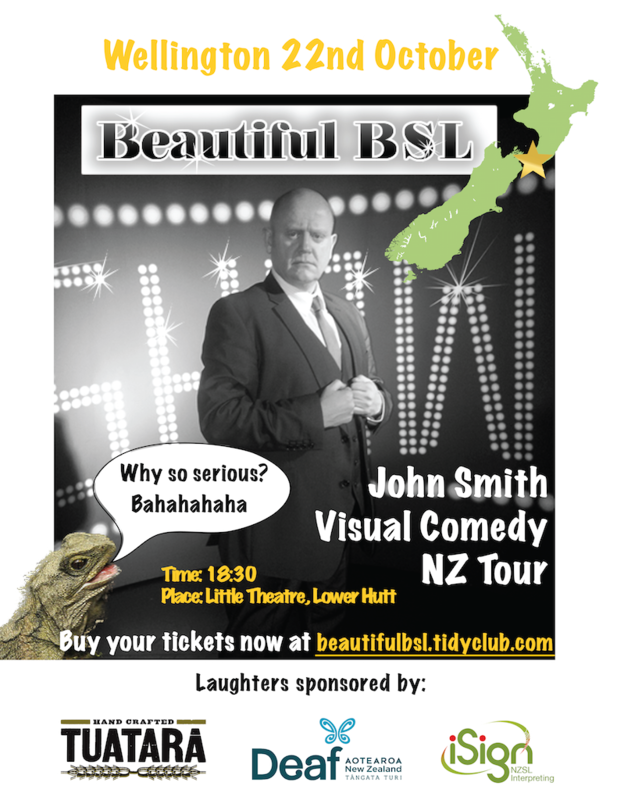 John Smith, visual comedian is going on a tour in NZ. Come along and bring family and friends! Heaps of laughing! 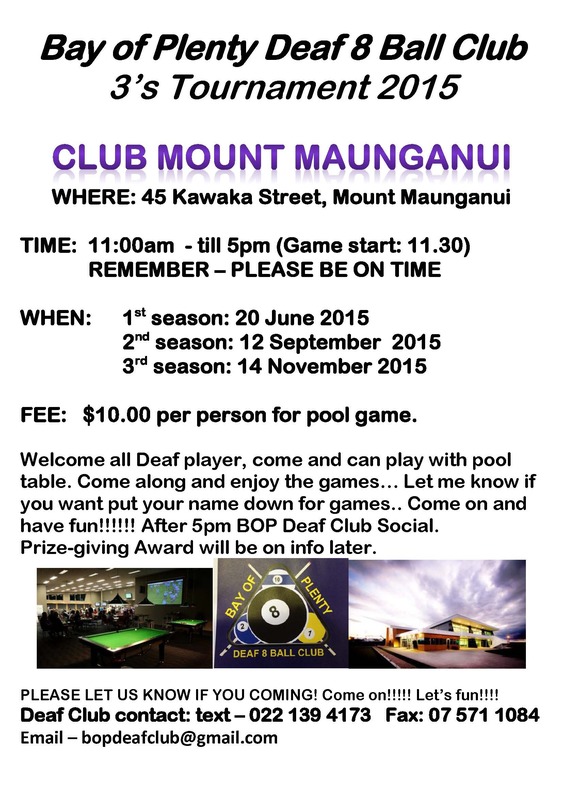 Where: Auckland Deaf Society, 164 Balmoral Road, Mt Eden. If keen to purchase tickets, can go to their website and purchase tickets from there. The theme for the camp will be kiwi sports persons. For more information and to register please contact the Camp Administrator, James Pole. 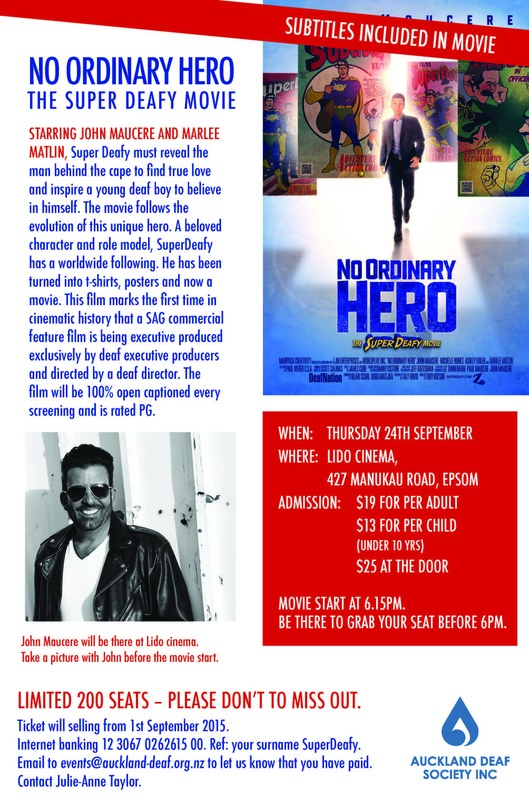 John Maucere will be in New Zealand and at Lido cinema for the No Ordinary Hero, the Super Deafy Movie he stars in! Come along to get a picture with him, and watch the movies which have subtitles! Time: Movie starts at 6.15pm, get there earlier to grab your seat. Where: Lido Cinema, 427 Manukau Road, Epsom. Costs: $19 per adult, $13 per child (under 10 years) or $25 at the door. 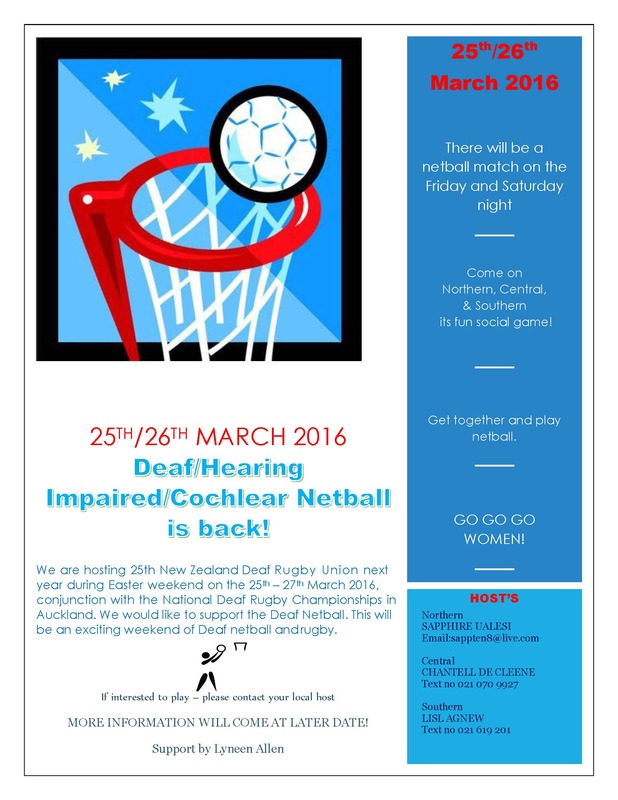 Email Julie Anne at events@auckland-deaf.org.nz to let her know you have paid. Who: Deaf and hearing impaired students aged 13 to 20. Surprise guest VIP coming to give mini performance while judges mark-up. Deaf Community very welcome to support the evening. Come along to Indian Night! Where you can experience, explore and taste the indian culture! Includes guest performances, buffet, prizes, games, DJ, eyebrow threading and henna! Where: 164 Balmoral Road, Balmoral. Costs: Earlybird $35, General Admission $45. Children under 5 is free! Bring extra money for eyebrow threading and henna if interested. 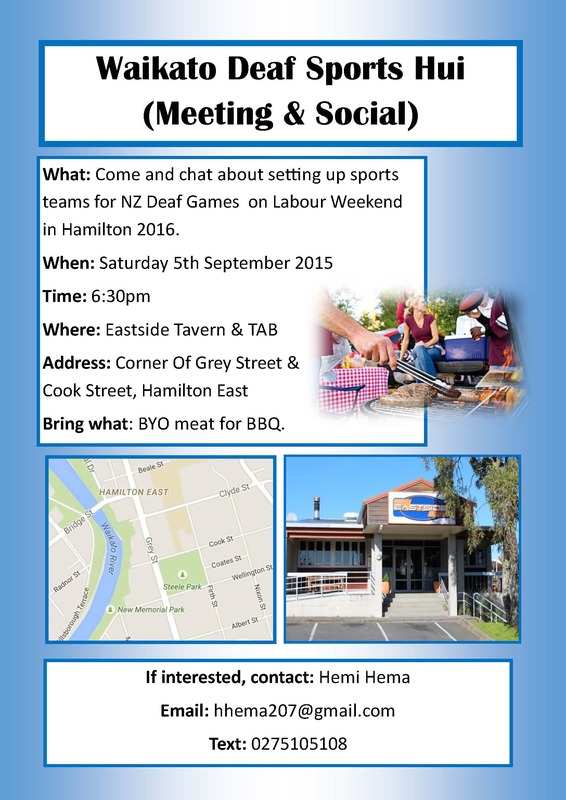 What: Come and chat about setting up sports teams for NZ Deaf Games on Labour Weekend in Hamilton 2016. Bring what: BYO meat for BBQ. Stir It Up – Let’s Teach Some NZSL In Our New Office! 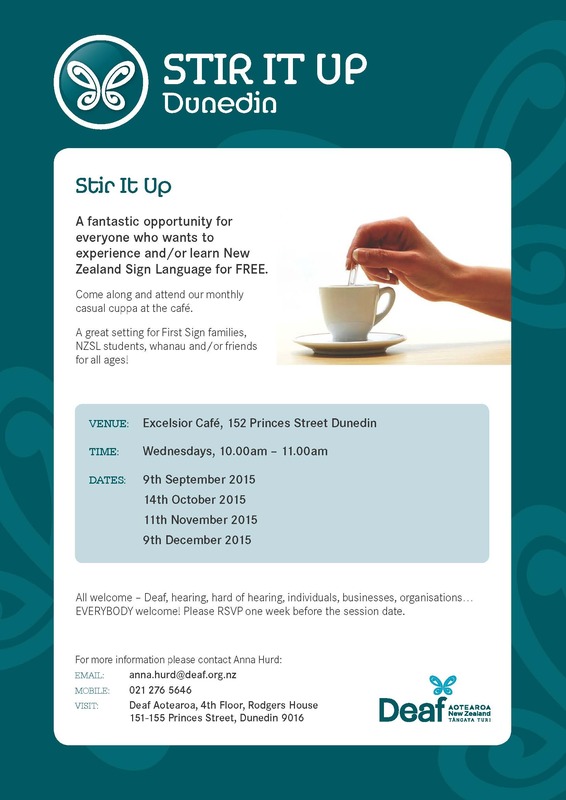 Come along to the September “Stir It Up” to enjoy the new community space in the Deaf Aotearoa office. Be a NZSL role model and teach some people your language, as there will be some people there wanting to learn some NZSL. 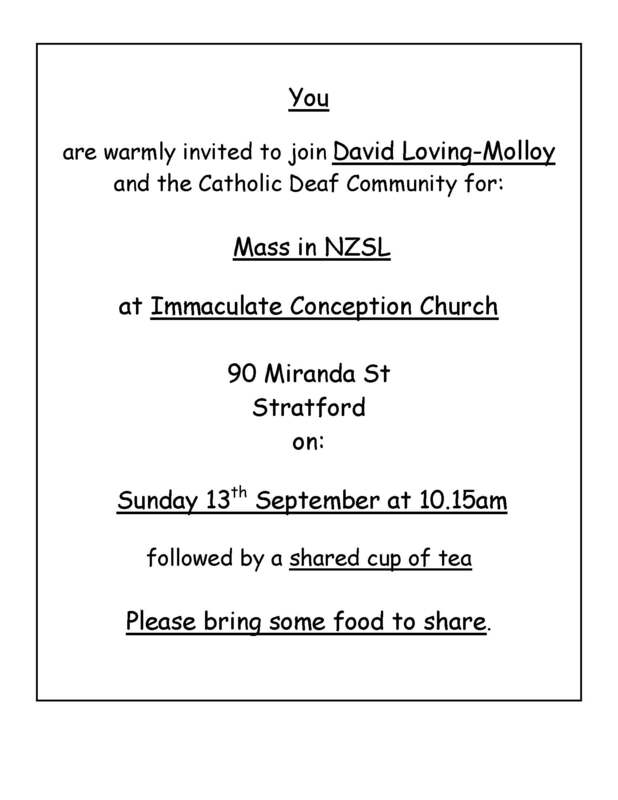 All welcome – Deaf, hearing, Hard of Hearing. Afternoon tea, coffee and tea provided. Address: Level 2, Westfield Shopping Centre, Cnr Hukanui & Comries Rd, Chartwell. Remember: You must have your ‘I am Deaf” ID card. There will be two Maori Culture courses. Come to this course where you can learn more about Maori Culture. This course will be presented by Richard Peri (Deaf) from Auckland. Click on flyers for more information and contact Sue Lessing to put your name down and to fill in an enrolment form. Whakatane Deaf community, please let Sue Lessing know if you are interested to attend either Tauranga or Rotorua as petrol vouchers will be given. 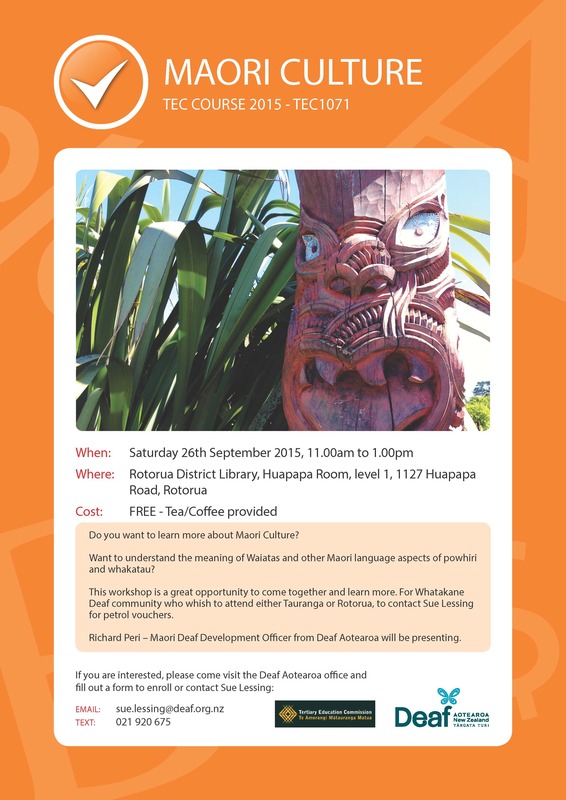 If Rotorua Deaf community want to attend but can’t make it on Saturday, you are welcome to Tauranga’s course or vice versa. More courses coming soon. Watch this space! 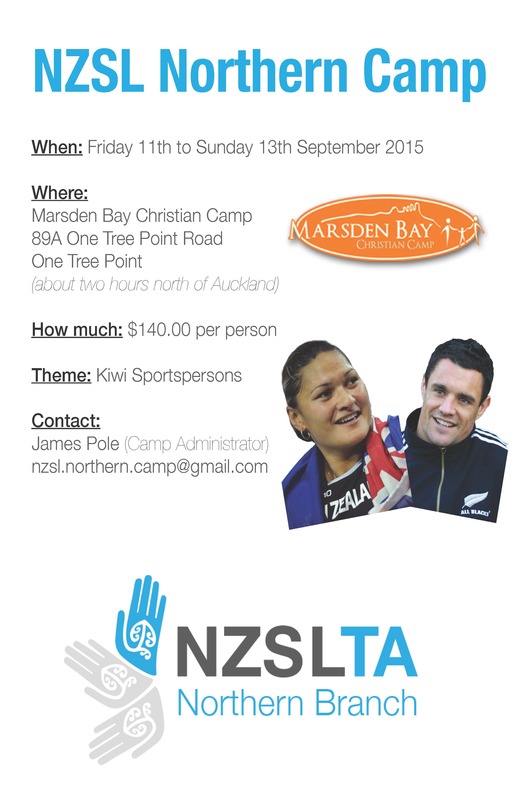 This is a gathering for anyone of all ages to attend to have fun experiencing or learning basic NZSL. To book your name, contact Sue Lessing. Click on flyer for more information and contact details. Share with anyone you think may be interested. There is a charge for the Deaf 8 Ball 3’s Tournament of $10.00 per person for pool game. Click on flyers for more information and contact details to join. Two weeks of creative fun! or create your own mosaic. Multicultural Tauranga’s Living in Harmony cultural evening. September is a Chinese evening, all welcome, please bring a plate of food to share. Explore New Plymouth on an urban walking tour. Stroll around the central city and soak up the architecture and history with an experienced local guide. $10 per person and concessions available. Advance bookings essential - phone 06 759 6060. 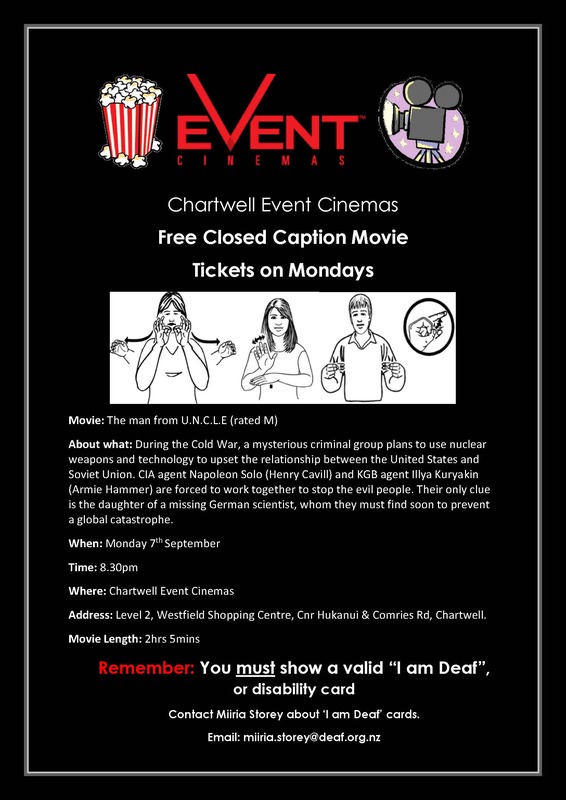 We are starting a new monthly event for the public to experience and learn New Zealand Sign Language. Come along to enjoy a monthly casual cuppa at the WITT cafe. 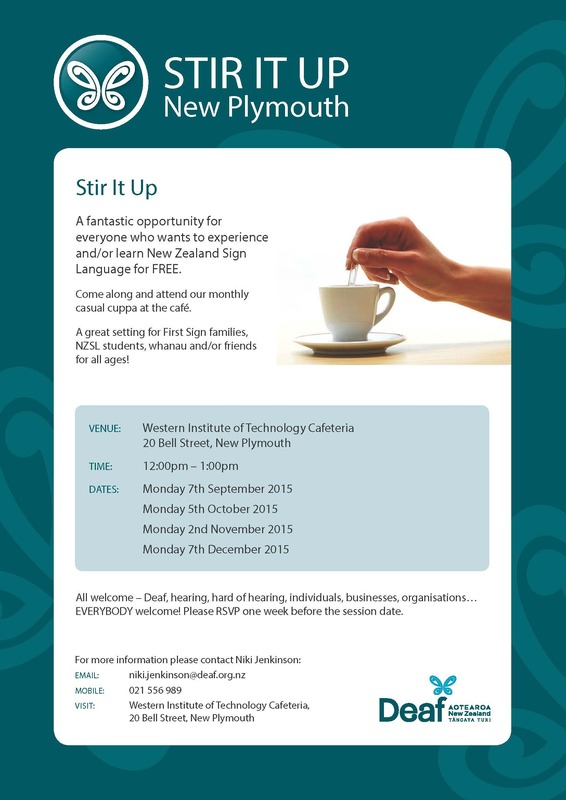 All Welcome – Deaf, hard of hearing, hearing, individuals, businesses, organisations. Learn self-defence techniques with Dean Logan, 3rd degree black belt mixed martial arts instructor, boxing coach and personal trainer. Dean has extensive experience in teaching self-defence; including self-defence designed specifically for women. Suitable for 13 years and over. You must register your interest to attend this workshop. All the countries around the World we be celebrating and promoting this together. We hope that we can get as many people we can to come along and join us. Hastings has been named the country's most beautiful city. It’s claimed three coveted crowns when the Keep New Zealand Beautiful awards were announced yesterday. Well done Hastings, Hand Waves! Milestone to crow about as Hawkeye turns 50! This bird was created in 1966 and it’s 12 feet tall. Remember to say “Happy 50th Birthday” to Hawkeye! Palmerston North City Council (PNCC) now have a drop off bin if you wish to recycle your old mobile phone. It doesn’t matter what kind of phone, doesn’t matter what condition, you can put it in the drop off bin. 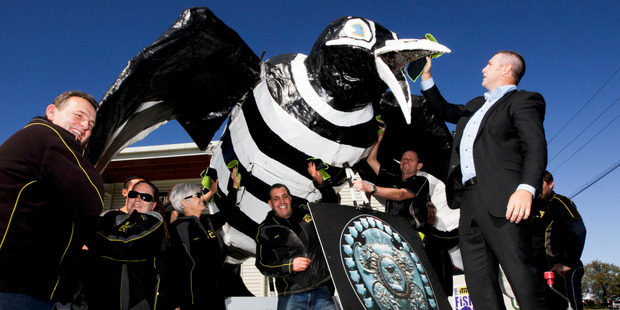 This recycling will help raise funds for the Starship National Air Ambulance service. Once the phones are collected they are passed onto a specialist recycling company called Swapkit, they will grade the phones and wipe the data. 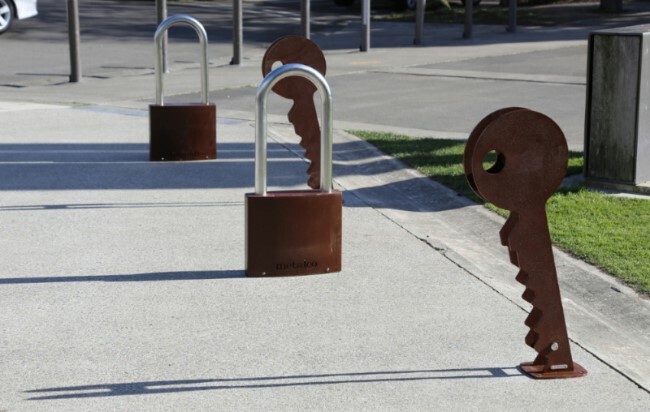 They were imported and installed by “Urban Effects Limited” of Whanganui. They are new bike stands!! Were you aware of the following apps you can download onto your smartphones? If you are unsure, feel free to come to our office and we will be happy to assist you with these. Did you know that you can now access digital magazines and newspapers 24 hours a day, 7 days a week at the Living Room of the City via ZINIO for libraries? This allows library members to download popular magazines for free from the Palmerston North City Library website. They have over 60 popular magazines covering from art, entertainment, home and travel and more. These titles can be viewed on the computer or on your mobile smartphone using the free ZINIO app! To access this you need a Palmerston North City Library card for both services. This is a practical guide to everyday New Zealand law if you are interested and want to know more about the New Zealand legal system. For Wellington, Deaf Aotearoa is looking to provide a TEC course for those who are interested and want to learn more or have questions to ask regarding Community Law. A guide to keep you safe from cyberbullying, scams, copyright issues, social networking, etc. Deaf Aotearoa is looking to set up a TEC Course for those who are keen. Do you need to take First Aid Course before your First Aid Certificate expires? Deaf Aotearoa can provide a TEC Course for those who need to take First Aid course to get certificate. Victoria University of Wellington's Online NZSL Dictionary plans to expand the Dictionary by adding place sign names across New Zealand. Deaf Studies Research Unit team may be visiting your area to collect the place signs which will be added to The Online Dictionary of NZSL database. Hope to see everyone there. Please let Rachel know if you need transport so she can organise for you. Where: Meet at the car park on the corner of Hardy St and Milton St. Please bring walking shoes and a bottle of water. After the walk we will go to a cafe for lunch. We will decide together on the day which cafe. If you really need transport please let Rachel know and she will organise. Where: Action Entertainment Centre, 30 McPherson St, Richmond. Please let Rachel know by 10th October if you are coming or not. If you need transport please let Rachel know and she will organise for you. Gorgeous Home improvements made easy - the Nelson Home and Garden show is packed with all the ideas and information that you need to make transforming your house or garden. Save money on the specials at the show, enter the draw to win prizes. It is all under one roof and there is free parking too. Where: Saxton Field Sports Complex Saxton Road East, Stoke, Nelson. 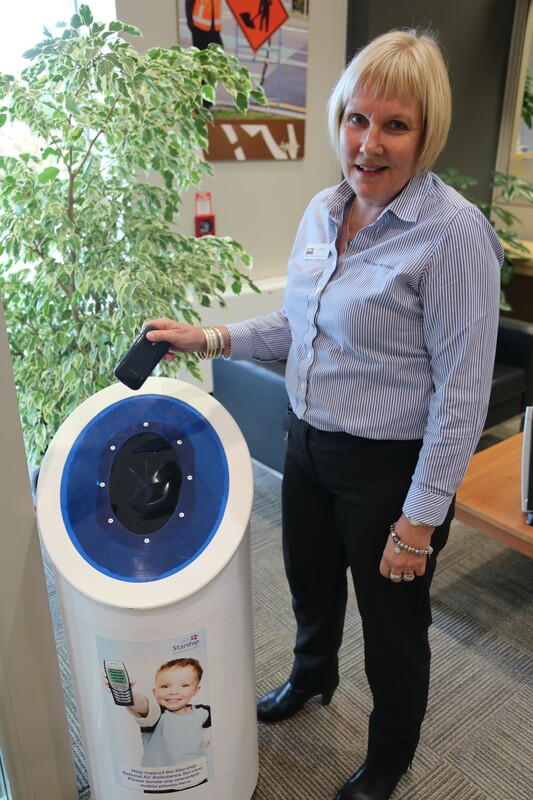 Hello, my name is Debra Jamieson, I am the new Facilitator at Christchurch office and I will be working with First Sign with families of deaf children. If you would like to have more details about First Signs or other details, please visit Christchurch office. 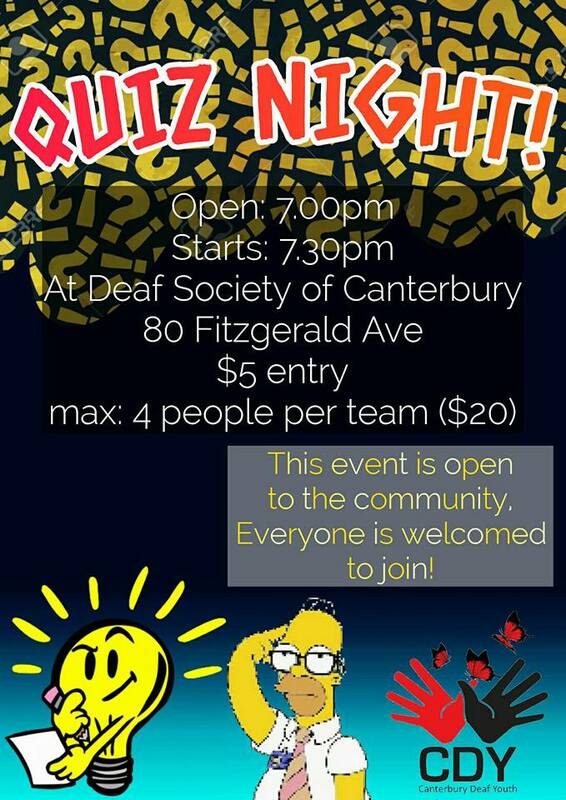 Canterbury Deaf Youth is having an evening for everyone who would like to join a quiz evening. The Breeze Walking Festival – is BACK! This year the festival has been extended to cover the duration of the October school holidays with plenty of choice. From child-friendly up to a more energetic trek for the experienced walker, some include activities which will cater for all ages. The walks are all over the areas within city, the Port Hills, parts of Waimakariri and Selwyn Districts, including coastlines, forests, ridgelines, river ways, wetlands, gardens and city streets. 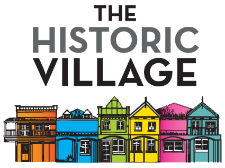 The event is a chance to give you to discover new places, learn more about old haunts, try fun activities, and also enjoy the fresh air, spring sunshine and a good company. Why not to make your own Scarecrow at Lincoln Market? Come and join in the fun at this annual Lincoln event. It is a perfect opportunity to get creative as a family to produce a prize winning scarecrow creation. There are some fantastic prizes to be won. Bring along your scarecrow between 9:30am to 10:00am for registration. Winners announced at midday. There will be a new category “Your Own Site Creation” – see how inventive you can be making a Scarecrow against the clock between 10:00 to 11:30 am – items will be supplied by the market. Judging begins at 10:30 am. There will be live music throughout the event to enjoy plus a great selection of markets, gifts – a perfect for Christmas shopping! 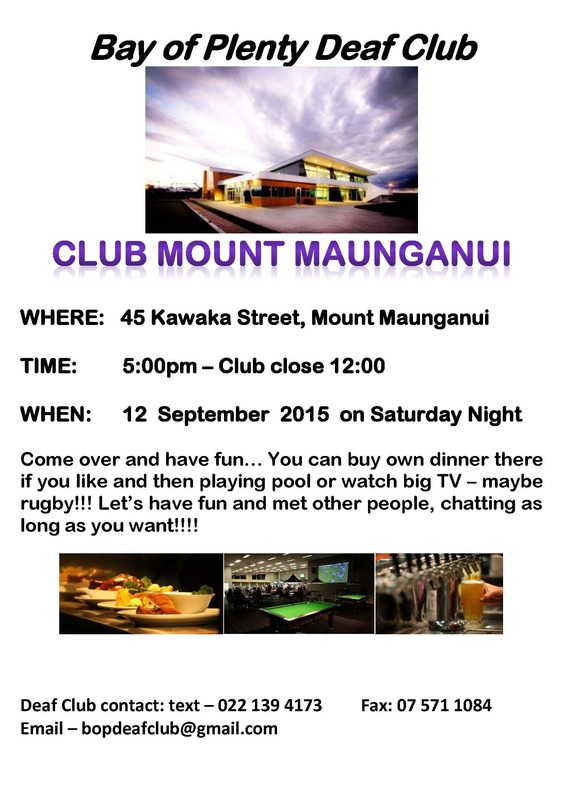 We are starting a new monthly event for the public to come along and experience and learn New Zealand Sign Language. Come along to enjoy a monthly casual cuppa at the Excelsior Café. All Welcome – Deaf, hard of hearing, hearing, individuals, businesses, organisations. Please RSVP one week before session date. Guest speaker is Dr. Lynley Hood from VICTA, a support group for low vision and vision impaired people. Thanks to all that showed up to the New Services, New You workshop. It was a successful workshop with great feedback. Please get in contact if you have any questions, otherwise take advantage of all our new services available for you and contact Rebecca for an appointment. DRC has now officially moved to their new premises beside the Colonial Bakery on Queens Drive. The Doors are now locked and will require you to text or email to pre arrange an appointment with Rebecca Petre. Rebecca is in Process of setting up a Computer Course for anyone to take part (beginners). This Course will go for five Weeks, two days of the week. This is being done through the Adult Literacy Programme. More Information on start times etc will follow soon. If there is not enough interest this will not go ahead. 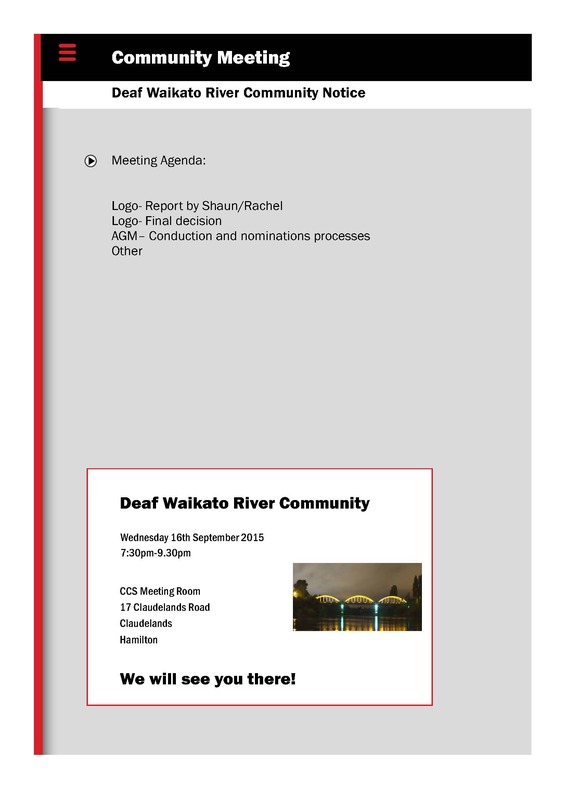 All members are warmly invited to attend the Deaf Aotearoa 2015 AGM. Where: Otago deaf Centre, 68 Manor Place, Dunedin. Click here to view the NZSL video. Copyright © 2015 Deaf Aotearoa. All rights reserved.